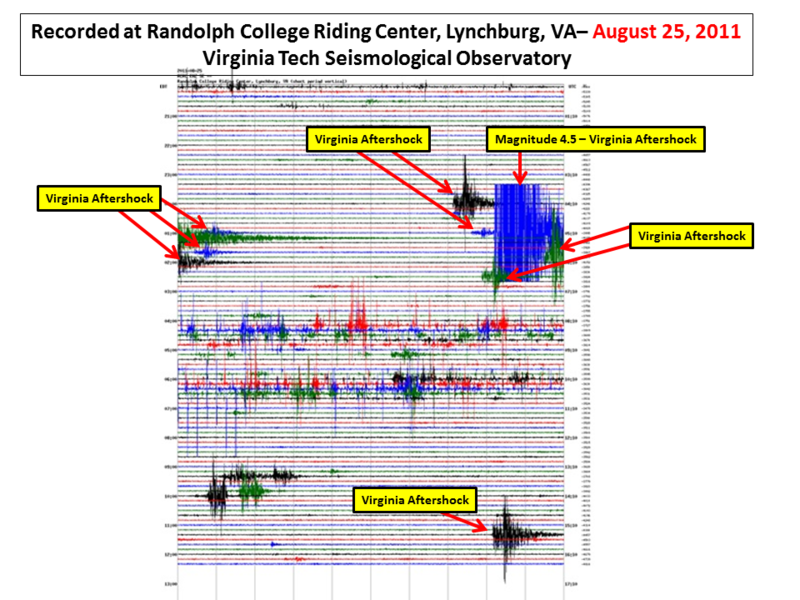 Aftershocks of the August 23rd Virginia magnitude 5.8 earthquake continue, and are being recorded by Weston Observatory’s New England Seismic Network as well as the Virginia Tech Seismological Observatory. 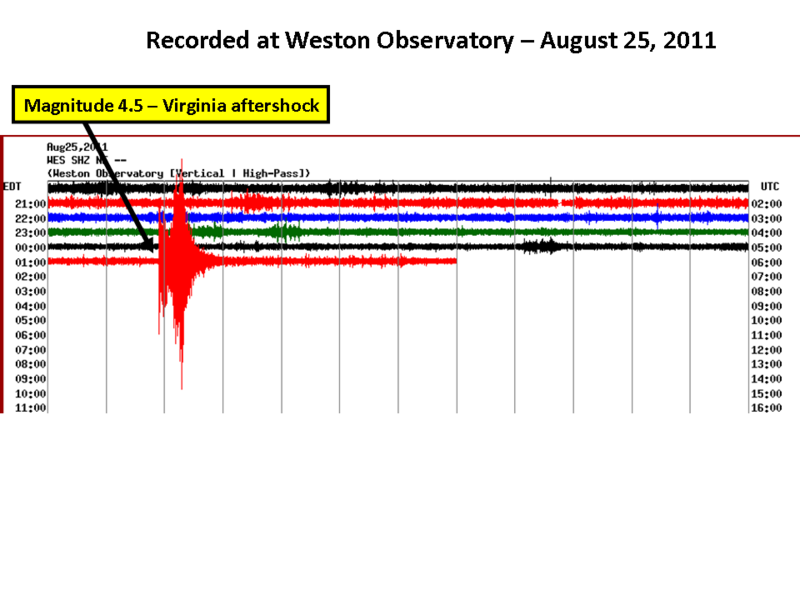 Weston Observatory seismographs recorded the magnitude 4.5 aftershock from Mineral, Virginia on August 25, 2011. For more info on these earthquakes, go to US Geological Survey report. 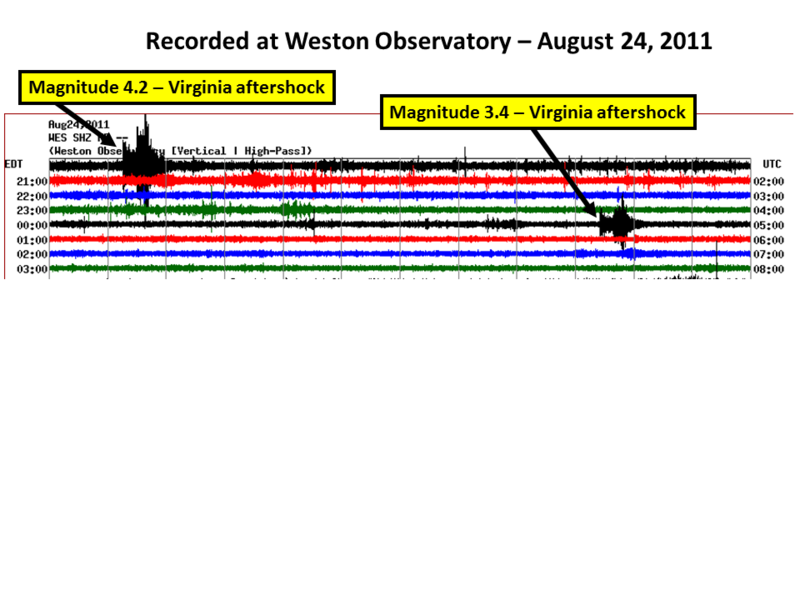 Weston Observatory seismographs recorded the magnitude 4.2 and magnitude 3.4 aftershocks from Mineral, Virginia on August 24, 2011. 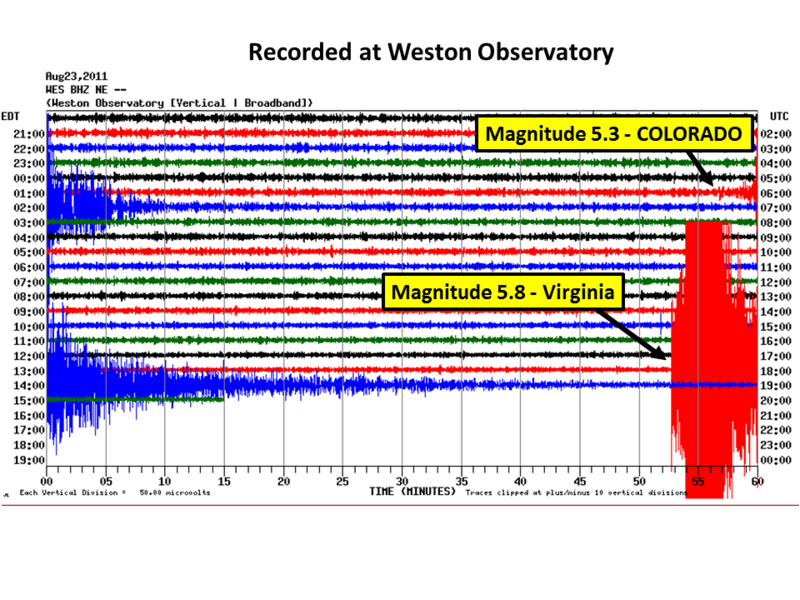 Weston Observatory seismographs recorded the magnitude 5.8 earthquake 14 km (9 miles) SSW from Mineral, Virginia on August 23, 2011. This quake was felt throughout New England. For an Intensity Map of the felt area and/or if you felt this quake, please report it with USGS Did You Feel It? – Tell Us!